Lovin' Lyrics Music Promotions: COUNTRY ARTIST CURTIS BRALY RELEASES NEW DUET WITH KIMBERLY CALDWELL "SOONER OR LATER"
COUNTRY ARTIST CURTIS BRALY RELEASES NEW DUET WITH KIMBERLY CALDWELL "SOONER OR LATER"
Studio Gold Nashville recording artist, Curtis Braly, is releasing his new single to country radio - a captivating duet with American Idol Season 2 finalist, acclaimed recording artist and TV personality, Kimberly Caldwell, titled “Sooner Or Later”. The new single from Braly’s EP, All About the Ride, is sure to capture listeners’ attention and hearts with powerful vocal performances from both artists and a relatable storyline. The storyline is about two friends who are trying to work up the courage to express their feelings for each other. As you hear the storyline and their confidence grow, it may just convince you to go tell that special someone exactly how you feel. teenagers as they were first beginning their musical careers. Kimberly performed in talent shows and pageants all across Texas, and until age15, was performing two shows a day, six days a week in Branson, Missouri. After finishing high school she became a household name as a finalist on Season 2 of American Idol. Since then, she has hosted numerous TV shows, has written and recorded her debut album, “Without Regret”, and has recently launched her own handmade leather handbag line. Curtis began singing with his mom in the church choir, and then began performing at talent competitions as well. Later, at a national talent competition, he won the grand prize, a trip to Nashville, which reinforced his desire to become a country artist. Before he recorded his first demo, he gained industry insight by working at a Houston radio station. In 2014, Curtis signed an artist development deal with Studio Gold in Nashville, and has since released two singles to country radio. He was recently recognized by the Mayor of Houston, Annise Parker, for his efforts in supporting several non-profit organizations, and she has named August 8th as “Curtis Braly Day”. 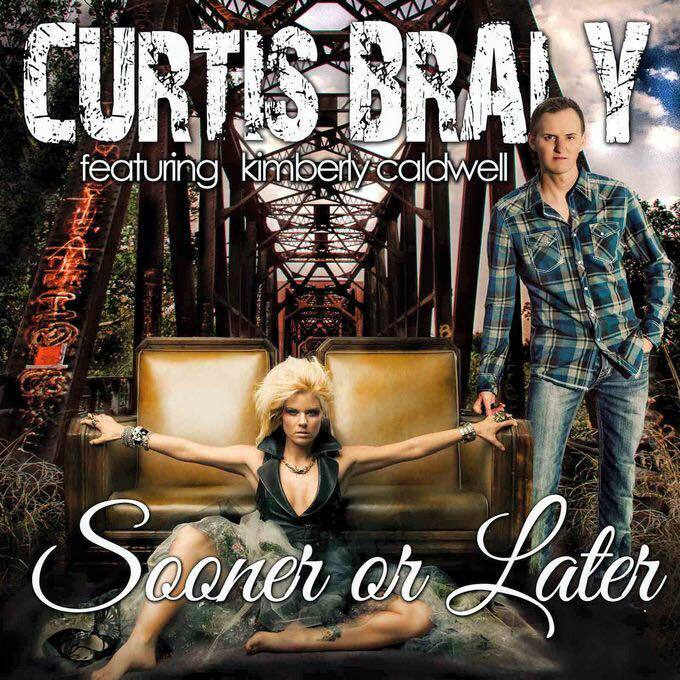 After reconnecting their friendship years later, Kimberly teamed up with Curtis to record the duet “Sooner Or Later” for Curtis’s EP, All About the Ride. “Sooner Or Later” was written by Ireland-based songwriter Paul Cunningham, Jnr., and produced by Emmy Award winner Kenny Royster at Direct Image Studio in Nashville.